Think Your NJ Residential Real Estate Taxes Are Too High? Then Discover Now How You Can Try To Lower Them and Pay Less! According to CNBC’s reporting on a WalletHub study of taxes as a percentage of personal income, New Jersey has the 9th highest tax burden in the country, with a total tax burden of 10.02%, with over half of it (5.12%) going to property taxes. New York has the highest tax burden of personal income overall (13.04%), but when it comes to property taxes, it is a lower 4.78% of income for residents. In fact, only Vermont edges out New Jersey in property tax burden at 5.2%, making our state the second highest in the country! With this in mind, it is no wonder that New Jersey residents are looking to lower their tax burdens as much as they can (assuming they are not leaving the state altogether). 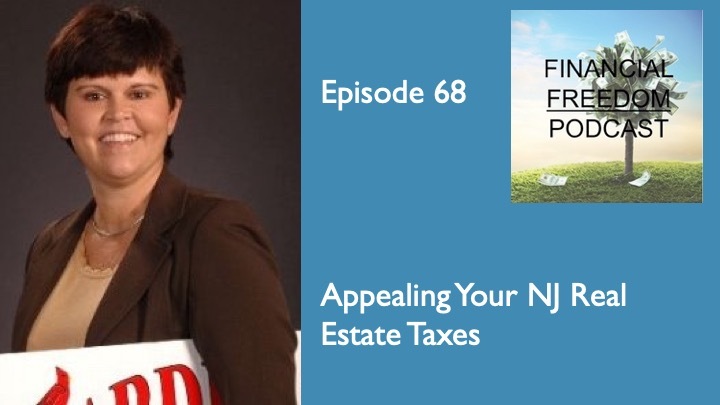 That is why in this episode of the podcast, I talk to local real estate broker and appraiser Lynn Stambaugh of Cardinal Real Estate Services in Woodbury on how you can appeal your taxes and give yourself the highest chance for success!